Genuine paintings on small, polished and lacquered wood panels, a unique art form called pano in Russian. The workmanship will amaze you. 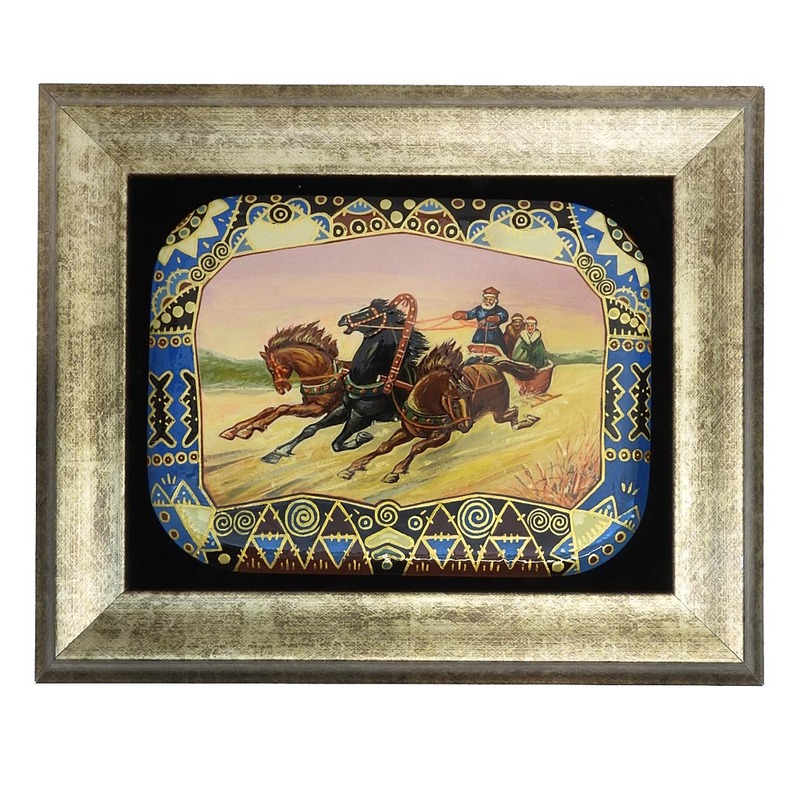 Mounted on black velvet in attractive frames. They will liven things up wherever they are placed!